Oh man, that reminds me of a story from back in high school. 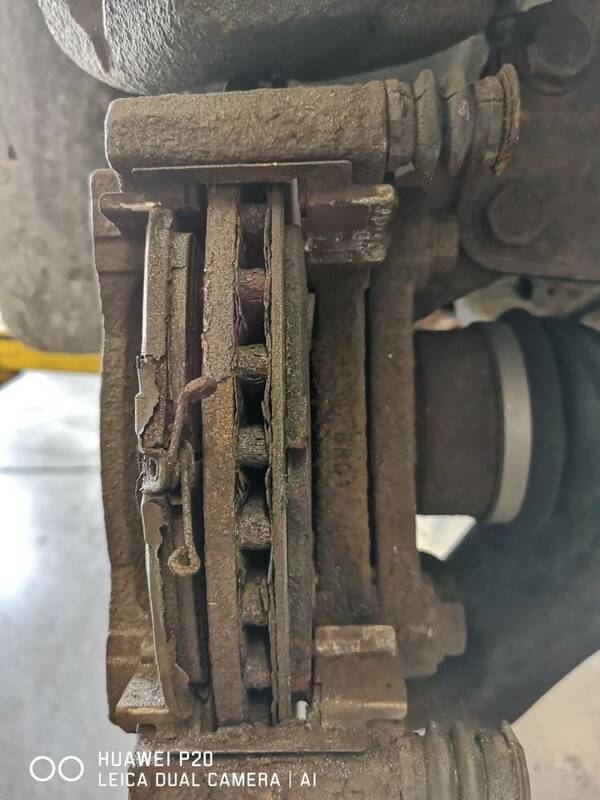 This one idiot used to have a 1989 Dodge Omni and brought it in to shop class because the brakes weren't working well and wanted to look at it. The omni had drums on back and SOLID discs up front. It was a super econo special. Anyway, put the car up and pulled the wheels off of it. 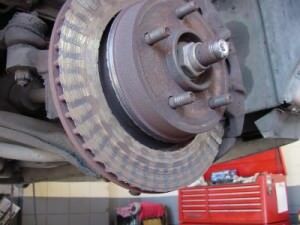 The rotors were so worn they were literally the thickness of a credit card and the pads were pretty much nonexistant at this point. Shop teacher told him he wasn't driving it that way and threw the lock on the lift leaving the Omni up in the air. 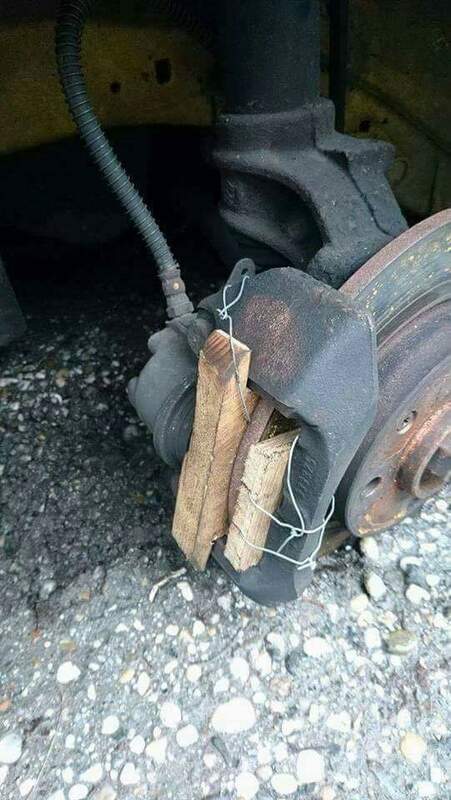 Guy had to buy new pads and rotors before the teacher would let it down. We don't think about this often, but there are a surprising number of cars on the road that aren't properly maintained and put us all at risk. 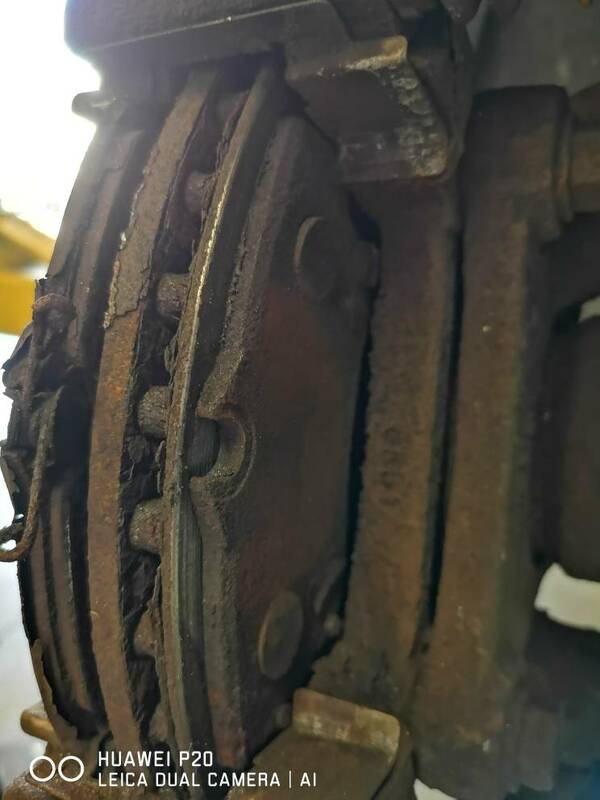 Can't imagine how annoying the sounds of the of the brake in that condition. That's gotta be a joke. If not, then hopefully it's nothing more than someone's dilapidated rural property runabout. At least they're safety wired!